Arguably, one of the most photogenic regions of France begins it’s bloom. 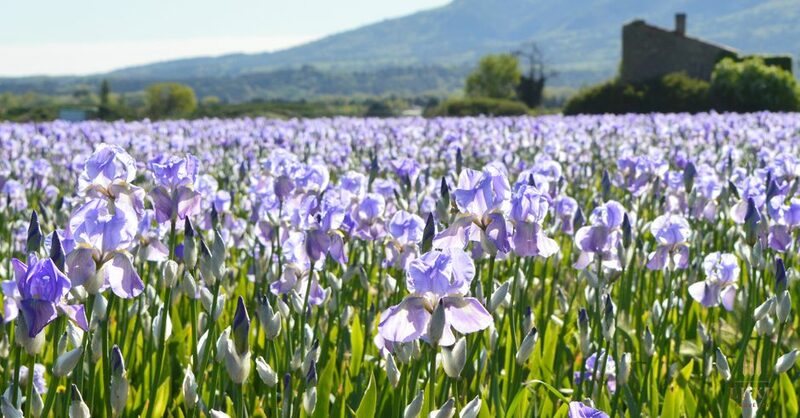 The Provence region of color and natural beauty has arrived bearing fields of powder periwinkle blooming irises throughout Trets’ landscape right now. Passing through the region to capture the beauty this morning, it felt as if thousands of delicate butterflies were displaying their colors as they rest gently upon fields of brilliant green. These fields are complimented by the picturesque outlines of the Sainte-Victoire, Mount Aurélien and Mount Olympus in the backdrop. So, pack your cameras and follow the route from Rousset to Trets to uncover the beauty for yourself. If you’re lucky, you’ll also catch an amazing whiff of the freshly cut thyme fields while trolling through the charming country roads. It’s easy to understand how such artists as Van Gogh and Cezanne drew inspiration by the iris and their beautiful faint and delicate blooms. 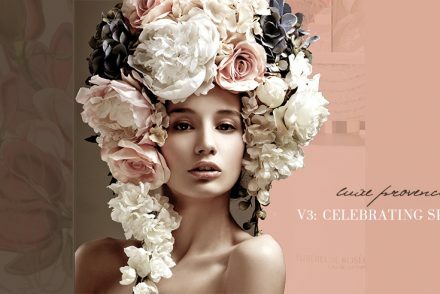 Last spring, we hand-selected a fragrance collection for each of our clients in our V3 Luxe Provence Box that showcased the local perfume production. Iris is of prime importance in perfumery. Some describe the iris note as “the smell of cash” as it is expensive to produce. Did you know that Trets is one of the biggest iris growers in the world? 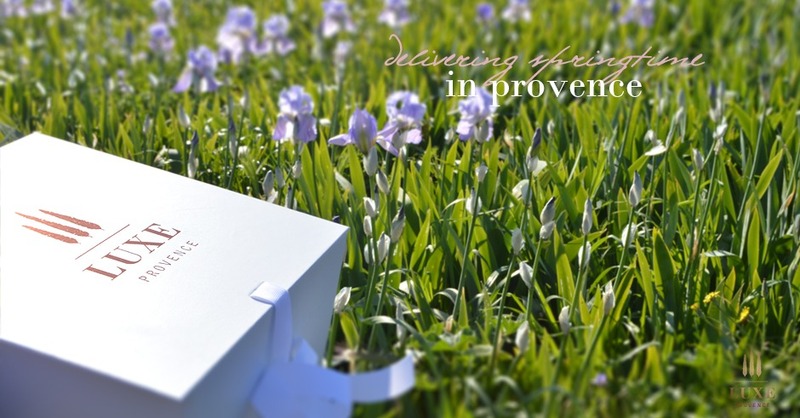 Learn more about Provence’s Iris perfume production from Rebecca on this earlier post. 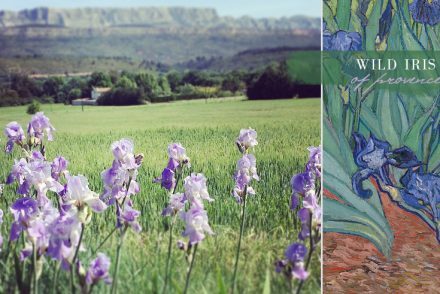 The Trets region does not only produce Irises, but also award-winning wines, along with its breath-taking and charming neighbor, Puyloubier. 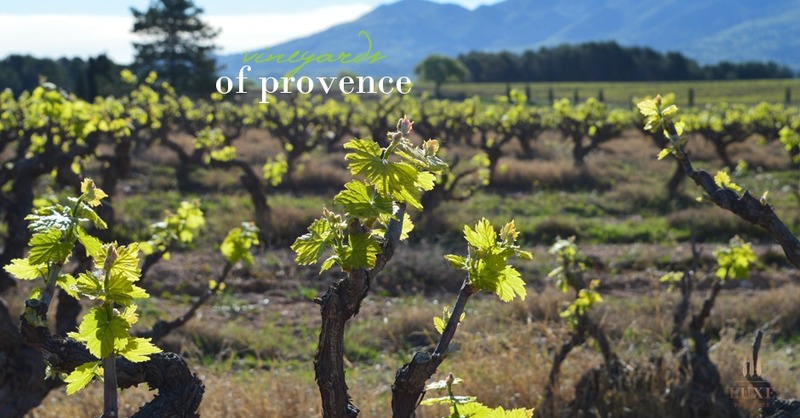 This micro-region of Provence is covered in hectares of both ancient and newly planted vines with their bright early leaves just emerging. This Provence wine growing region dates back to the early XIII century, and happens to be home to some of my favorite, local pale and fruity rosés from Domaine Saint Lucie and the Famille Sumeire. Check back in a few days for our next post on the wine, vineyards to visit, and recommended restaurants to help you discover this gorgeous region, just a few kilometers outside of Aix-en-Provence. For now, stop and photograph the flowers. But please be careful, these are very precious fields used for cultivation of perfume so be sure to take your photos from the road to protect the delicate rhizomes.